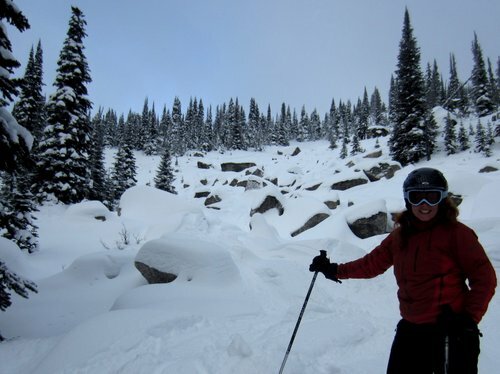 ← Kootenay Pass – Trip Report. First Ride on the New Chair. 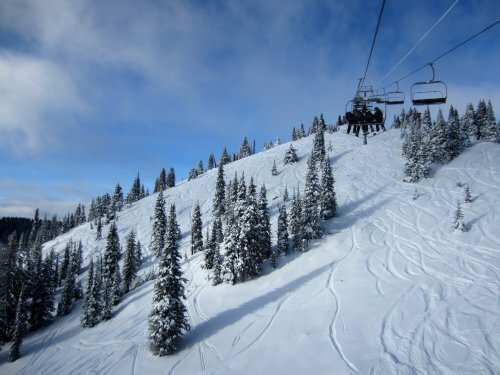 Red’s new Grey Mountain chairlift opened today with a minimum of fanfare. It wasn’t busy, but like many others we were pretty curious and spent the morning exploring the new ski lines. Between the low early season snow-pack, the mountains of logs and slash leftover from a sloppy logging operation, and the fields of barely covered boulders, the skiing is marginal if not scary in places. However the snow on the south aspect was soft, boot-deep, and consistent, and if you found yourself a relatively clean line it made for playful powder skiing. We dropped off the wind affected backside and followed the new ski-out trail (“Unknown Legend” is a pretentious mouthful) all the way back around to the lift, which like everything else it’s a bit of an obstacle course, but provides a preview of the incredible amount of skiing that could be opened up if the “crack-trees” are ever spaced and cleared. 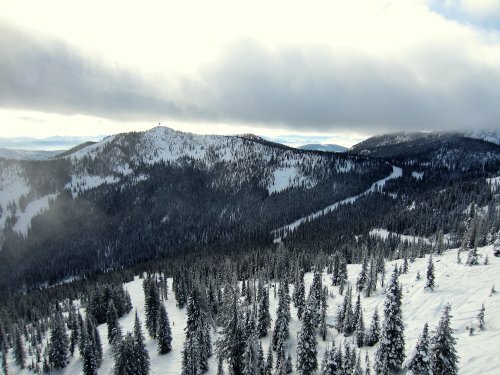 Regardless, with just a bit more more snow there’s a ton of new terrain there for us to enjoy. Elise – stoked to have survived that rock garden. What a great, exciting day. Had my doubts whether the new lift would ever turn and despite the constant head shaking at the puzzling trail layout it certainly is going to be a fun place to explore. Just take care, you intrepid lot!!! Did you see that Red made the front page of the NY Times Travel section? Gulp. I’ve read the article, but didn’t know it was so prominent. I actually thought the article was pretty fair, but I suppose it’ll attract a bunch of posers, that is until they try to find their way down Roots or one of the new lines off the back of Grey. Should make for some good comedy.